Match the Photos uses vibrantly colored cards and templates to provide a fun way for a person with Alzheimer's or dementia to improve cognitive abilities and help with dexterity while enjoying conversation. 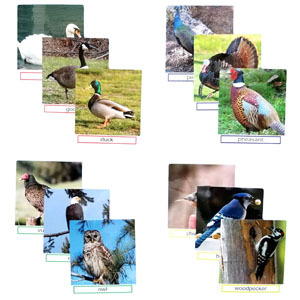 This Bird Groups set includes pictures of birds of prey, waterfowl, game and forest birds - match the birds according to their type, or just pick out your favorites! The instructions describe how to use the cards and templates in a variety of progressively more difficult activities, as well as simply using the cards as a starting point for conversation and engagement. 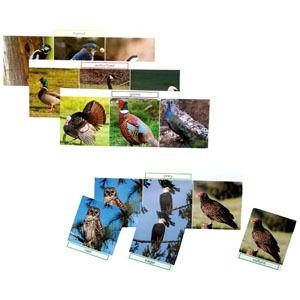 The photo cards are a great way to introduce the birds and have some fun conversations. 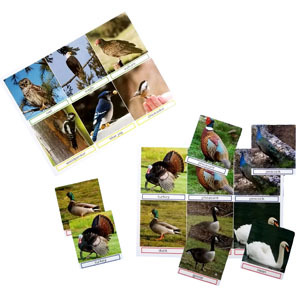 The birds are grouped into four categories (prey, woodland, game and waterfowl) and each is color coded on the cards and templates. Just looking at the pictures and talking about the birds is an engaging activity.